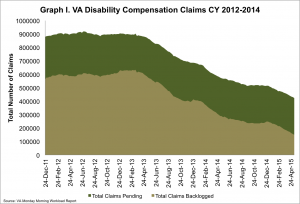 On Monday, the VA reported that the disability compensation claims backlog decreased by almost 3,500 claims, while the total number of pending claims decreased by almost 3,000. However, there are still more than 157,000 veterans in the backlog, meaning they have been waiting more than 125 days for a VA claim decision. Overall, there are more than 431,000 veterans with pending VA claims. 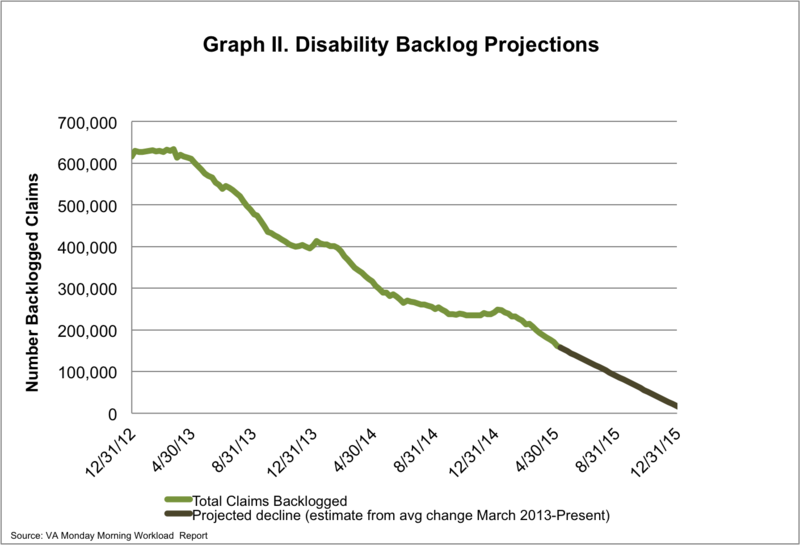 To eliminate the VA backlog by the end of FY 2015, the VA must reduce the number of backlogged claims by about 3,800 per week. 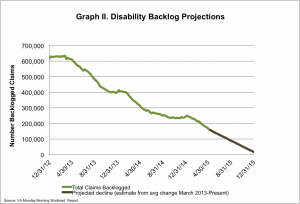 Since March of 2013, the backlog has been reduced by more than 75%, with about 4,200 claims processed weekly. 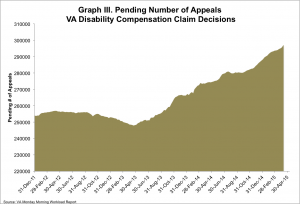 However many veterans continue to wait for pending appeals. This week, the number of veterans waiting for a decision on their appeal surpassed 300,000. 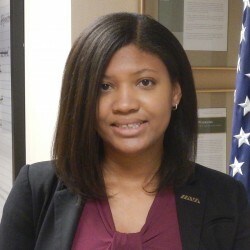 This week we continue to encourage IAVA members to complete our 2015 Member Survey, which is closing soon. Our survey is the best tool we have to represent the voices of our members on Capitol Hill and across the nation. In 2013, IAVA launched the Campaign to End the VA Backlog because our members shared their concerns, and we continue to push to improve the disability compensation claims process. Make your voice heard – and let us know the most important issues facing you and your families by clicking here to take the survey. If you complete the survey, you will be entered into a drawing to win a free trip to NYC for Veterans Week. If you’ve already completed the survey, you are automatically entered into the drawing. For more information about the trip to NYC, click here.